When the Trump Administration announced in May that it would leave the Iran Nuclear Agreement known as the Joint Comprehensive Plan of Action (JCPOA), alarms rang throughout the West. Condemning the decision, America’s allies saw the exit as yet another example of Trump’s unwillingness to cooperate on the international level. The prospect of regional stability now seemed far-fetched. President Trump’s thinking reflects the broader themes of his presidency, arguing that the hesitant, carefully articulated diplomacy carried out during the Obama years has failed, and that a new era of America-first nationalism will yield more optimal outcomes for the nation. Experts be damned, Trumpian populism relies heavily on ideology and intuition. With Iran, the argument goes, President Obama and Secretary of State John Kerry submitted to a terrorist regime without fully eliminating the prospect of their development of nuclear weapons. The deal normalized diplomatic and economic relations with a state hell-bent on regional expansion and the destruction of Israel. So whether it was John Bolton’s presence in the room or the further diminishment of Obama’s legacy that solidified his thinking, Trump was convinced, and the US was out. Five months since he made the call, the Administration has met its goal of turning the world away from Iranian oil. 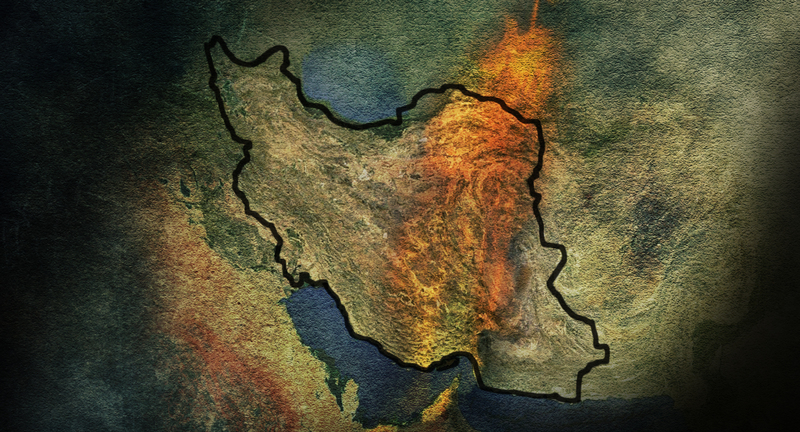 With security, however, Iran is volatile as ever, and a long-term solution is as elusive as ever. Unbeknownst to many, the decision to leave has produced a variety of unexpected consequences. Most notable are those concerning Iran’s production of oil and gas, rather than their uranium-enrichment program. Leaving the deal and imposing sanctions meant undertaking the considerable risk of a spike in oil prices, potentially hurting the American economy. Yet, so far, prices have remained relatively steady, and American oil exports are booming. Broadly, the sanctions reimposed by the Trump Administration primarily forbid any foreign exchange with Iran done in US dollars. The reactions of firms to such sanctions has been predictable, with companies like Mercedes Benz ceasing any and all activity in the country. Although American global leadership has certainly diminished under the Trump Administration, its omnipresence in the international arena is still undeniable. When posed with the threat of mighty US sanctions, firms more or less have to abide by the decree or risk taking massive hits that undermine profitability. Originally, the State Department set a deadline of November 4 for importers of Iranian oil to exit the market. They have since extended that deadline, although international reaction has been largely favourable. Even those firms who actively disagreed with the Administration’s position on Iran have largely complied, and plan to expeditiously leave the Iranian market. South Korea, a major buyer, has halted purchases entirely, while countries like France and Japan are slowly exiting the market. The Austrian Mineral Oil Administration just recently backed out of a significant agreement with the regime. Firms in Greece and Italy are not far behind. For Trump, these are the exact economic outcomes he prescribed, although it is still much too early to tell if the effects will last. The goal of the Administration is twofold: to significantly curb Iranian influence in the region and to encourage allies to buy more American oil. So far, they have largely accomplished the latter. No longer can Iran simply cut supply and shake global markets—new, previously irrelevant competition prevents that. Since large multinational oil companies can only incur so much risk, toying with American policy in favour of short-term profits is a mistake. These businesses produce and trade a commodity necessary to global functioning. To risk sanctions at the hands of the largest economy on earth is foolish. 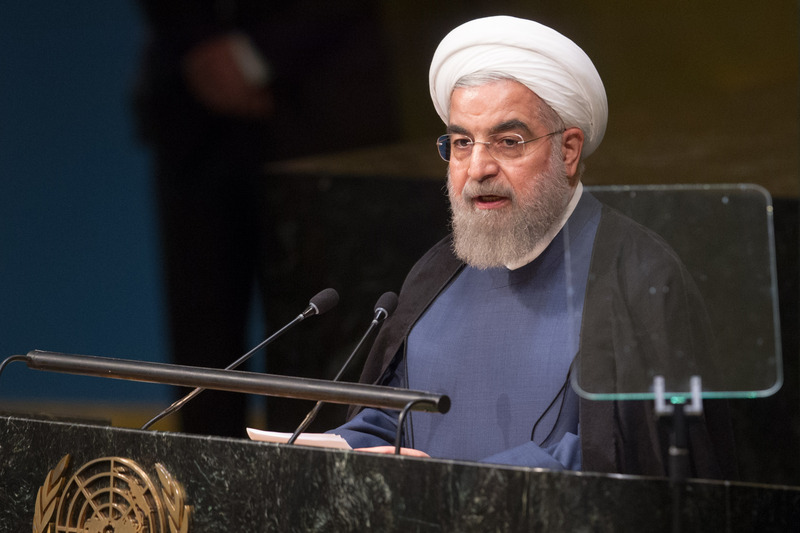 Hassan Rouhani, President of the Islamic Republic of Iran, addresses the general debate of the General Assembly’s seventieth session. For Iran, their troubles are increasing with no end in sight. Isolated from the global community and severely impeded by social unrest at home, the regime is facing mounting pressure. President Hassan Rouhani is in trouble. A moderate by Iranian standards, he has shifted to a more hawkish approach since the deal fell apart. When 12 members of the Revolutionary Guard were killed in late September, Rouhani, citing no evidence, immediately blamed the United States, Saudi Arabia, and Israel—the usual suspects. Domestic turmoil and regional instability have put Iran on edge, forcing the regime to resort to old practices of scapegoating and belligerence. While Russia readily fills the gap in the oil market, the rial’s value diminishes, and opposition groups gain prominence. The regime is besieged. Despite years of self-sufficiency, the Iranian economy has come to rely on foreign investment; while a depreciated currency actually strengthens the regime, it hurts regular Iranians by diminishing their purchasing power. Iran’s government now finds itself at a crossroads, impeded by instability and unrest. Their own citizens might pose a greater threat than America itself. But what about Mr. Trump’s preeminent goal? The degradation of Iranian influence throughout the Middle East remains unlikely in the near future. 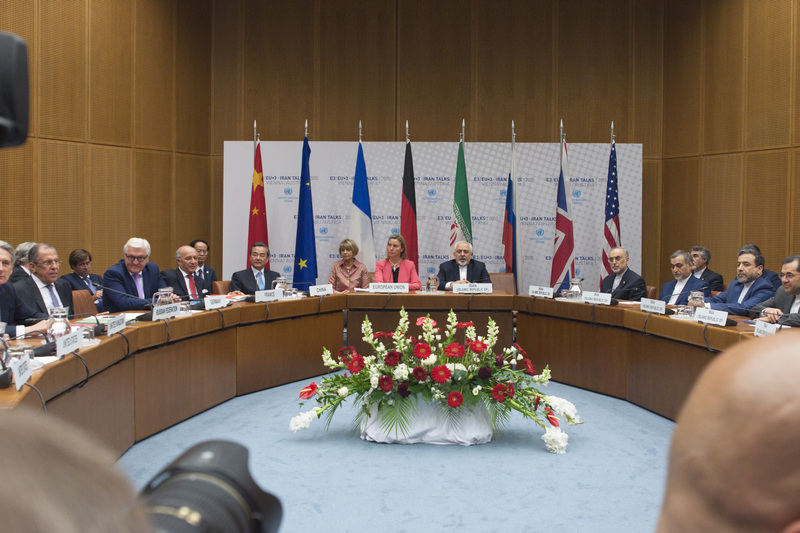 The Administration is already charting the decision as a win, but in terms of legitimate security, the situation is very similar to before the JCPOA was enacted in 2015 – no plan in sight and no clear path forward. Furthermore, even if the regime topples, the United States will find themselves in a precarious situation. Perhaps a potential new government will be even more fervently anti-Western than this one, refusing to submit to American strong-arming, and determined to expand regionally and grow militarily. Should such an outcome materialize, short-term economic wins will be the least of American concerns. Yes, like anything else, the future is uncertain. When one tears away the layers of the Iranian conflict, energy is front and centre. Preventing Iran from selling oil impacts virtually every sector of the domestic economy and dramatically alters the relationship between the state and the people. Furthermore, since Iran’s loss is Russia’s gain, the Kremlin-adoring American president’s victory is self-evident. However, that does not negate the fact that the current predicament is highly unstable and unsustainable. Iran does not go down without a fight. Ignorant are those who suggest that Iran will realize some epiphany and suddenly begin submitting to American demands. The regime’s long-lasting, profound hatred of the West prevents that. 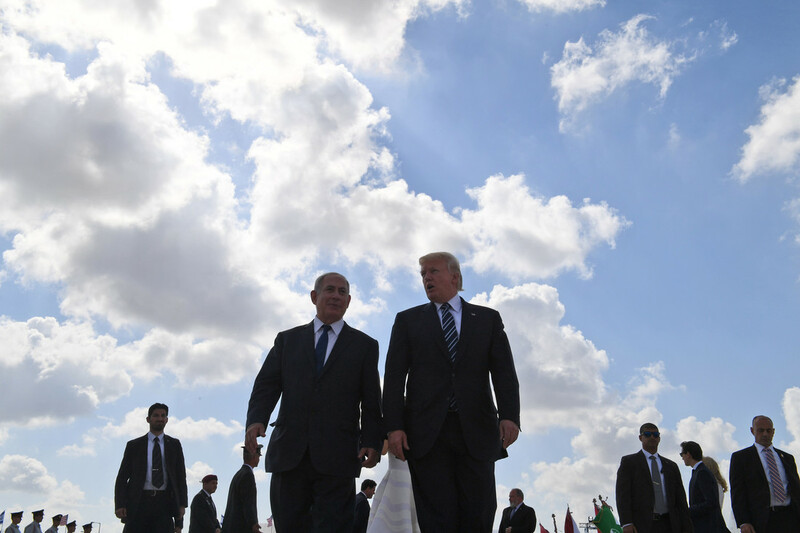 For Trump, Netanyahu, and MBS, the early gains are encouraging. The next few years may prove otherwise. Jack is a U1 student currently pursuing a double major in Economics and Political Science. He specializes in monetary policy and macroeconomic trends in Europe and North America.